A creative instigator and advisor, Susan offers innovative, achievable solutions for company development and improvement. 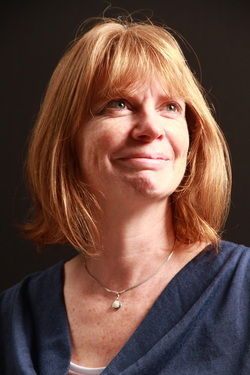 Susan Hay is an experienced cultural partnership leader and producer. She is currently Programme Manager for the British Council responsible for the successful delivery of a major Culture and Sports programme in the Gulf. She is Director of Ripple Arts, CEO for Marc Brew Company, an international dance company led by disabled dancer, Marc Brew, and provides mentorship and support for arts companies and emerging artists in Scotland. Susan gained extensive experience in creating funding strands and grant management at the Scottish Arts Council and Creative Scotland. She was responsible for the creation of the first ever Quality Framework for the cultural sector, which has been replicated around the world, and advised the Scottish Government on Quality in the Cultural Sector. Susan started her career as a dancer, choreographer and producer working internationally on high profile events, such as The Last Tattoo in Berlin and British Day at Expo. Responding to the demand from artists, she set up Dance Initiatives to promote emerging Scottish artists, showcasing them in The Stamping Ground, as well as setting up a company of 400 traditional Scottish dancers – The Tattoo Dance Company – specifically for the Royal Edinburgh Military Tattoo, which is seen by millions internationally. Susan even managed to get contemporary dance onto the esplanade as a part of the Tattoo! Susan has worked commercially as a retail manager, dancer photographer and fundraiser. In addition, Susan acts as a specialist advisor for the Cultural Enterprise.